Boss your way to a better body and soul this spring! You’ve made it! It’s SPRING 2016! Winter is officially behind you! While you can’t exactly park the parka yet, you can boss your way to a better body and soul by stepping up your energy. Embrace a new exercise routine or plan a wellbeing escape now! Think of it as New Year, New You, Part 2. The one you really stick to ‘cuz no one is watching and you know better than anyone else what you need to put a little spring in your step. 1) Let go of winter. Easy right? Not always! If exhaustion and apathy have been your constant companions of late, let go of that draggy energy and embrace the lengthier daylight ahead. Rather than spending your energy overanalysing and attempting to control the world around you, do something spontaneous. Riding to the nearest coast or hiking the nearest crest can change your perspective and break you out of that mid-winter ennui. Whatever you do, follow the sunshine, even if only for a few shining moments. 2) Get out in the garden. The best way to bow to Mother Nature is on your hands and knees, tilling the land and participating in a rite of spring as old as the soil itself. It’s no excuse if you don’t have your own. Lend a thumb with family and friends or in your local community. Or have a go at indoor gardening instead! Planting seeds in reality and metaphorically sustains us throughout the cycle of our lives. 3) Cleanse and prepare. It doesn’t matter if you do a spa ritual at home with candles (we still love Melt’s Angel with its dewberry, cassis, jasmine, rose, vanilla, patchouli, and amber infusion with a hint of chocolate) and sea salt baths, or splurge on a spa day away to revive and reboot. What your body is aching for is gentle purification. Prepare your inner landscape for new buds of spring with deep relaxation, deep breathing and deep appreciation for the growth and hope that spring inevitably ushers in. 4) Resuscitate your body. You’ve been hibernating enough. If you’re curious about yoga, but prefer a little less Om in your exercise,Yoga Gym will get you bikini-ready in no time. Nicola Jane Hobbs’ new yoga body-toning plan is a results-producing workout with plenty of great advice and super-gorgeous photos that show you just what you’re suppose to be doing at a pace you can handle. Your body will thank you. 5) Explore ancient rituals around the world. 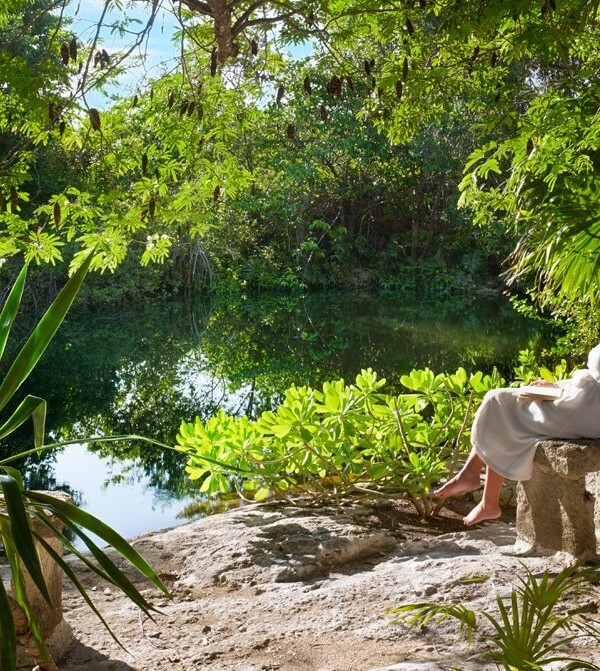 It may be too late this spring, but why not plan now to celebrate next year’s vernal equinox somewhere truly inspiring like Mayakoba, Mexico. Your transition into spring must include a daytrip to Chichen Itza, a UNESCO World Heritage site in the heart of the Yacatan Peninsula. 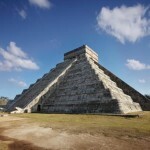 Here the architects of the ancient Mayan pyramid, El Castillo, designed the Temple of Kukulkan in such a way that the equinox’s morning and afternoon sun produces the shadow of a serpent ascending or descending its staircase. 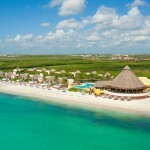 Couple this with a stay at one of Mayakoba’s incredibly beautiful luxury spa resorts – Banyan Tree Mayakoba, Rosewood’s Sense Spa in Mayakoba, or the Willow Stream Spa at Fairmont Mayakoba — and you’ll be shedding your old winter skin and absorbing the sunny side of life in no time!